As the UNHRC adopted a US-sponsored resolution on human rights violations in Sri Lanka, prominent rights groups today criticised it for failing to establish an independent international investigation into alleged crimes. London based Amnesty International said the new UN resolution does a good job of highlighting past and ongoing human rights violations in Sri Lanka, but regrettably fails to establish an independent and international investigation into alleged crimes. "This is a positive development. UN member states have sent a clear signal to the Sri Lankan government that crimes of the past cannot simply be ignored, but need to be investigated and the perpetrators brought to justice. However, it is regrettable that the resolution fails to establish an independent and international investigation into the armed conflict, and alleged crimes under international law by both the government and the Tamil Tigers," Yolanda Foster, Amnesty International's Sri Lanka expert, said in a statement here today. "It is clear that the Sri Lankan government is unwilling and unable to investigate these events itself, so an international probe is the only way to obtain the truth and justice necessary for genuine reconciliation," Foster said. Meanwhile, New York based Human Rights Watch noted the resolution had failed to call for an independent international investigation into war crimes and other serious human rights abuses committed by the LTTE and the government troops. 25 countries, including India, voted in favour at UN Human Rights Council, passing the resolution on the need to promote reconciliation and accountability in Sri Lanka following the armed conflict in the country, which ended in 2009. The US-sponsored resolution expressed concerns about continuing reports that security forces killed, abducted or tortured civilians even after the end of the 26-year-long conflict. During the debate on the resolution in Geneva, India said, "we encourage Sri Lanka to expedite the process of broad-based, inclusive and meaningful reconciliation". 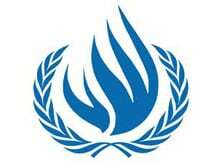 The UNHRC will next review the resolution's implementation in September 2013, before the Commonwealth Heads of Government Meeting (CHOGM) in November, currently set to take place in Colombo. "This resolution should be a wake-up call for all Commonwealth countries- they cannot leave grave human rights violations in Sri Lanka unaddressed. Commonwealth leaders must ensure before they meet in November that justice for past crimes has been served in Sri Lanka," Foster added.